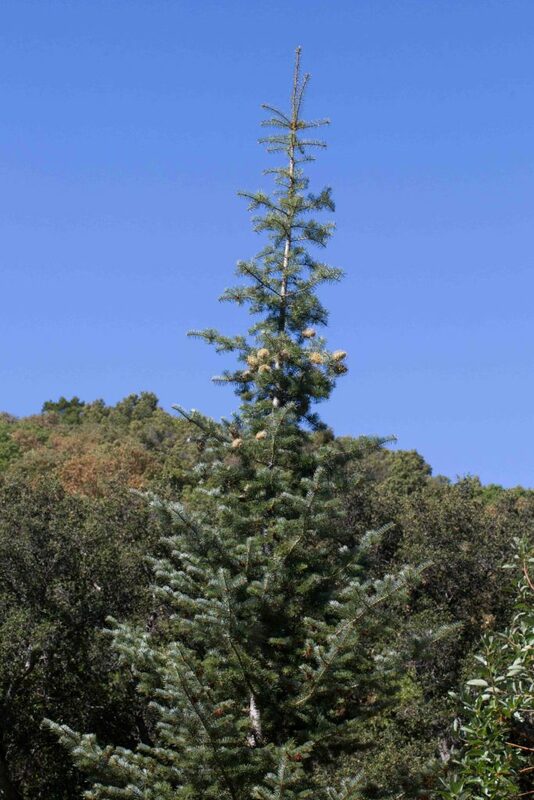 This is the only fir found in Monterey County and is endemic to the Santa Lucia Mountains. It is included in the CNPS Rare & Endangered Plant Inventory (1b.3). 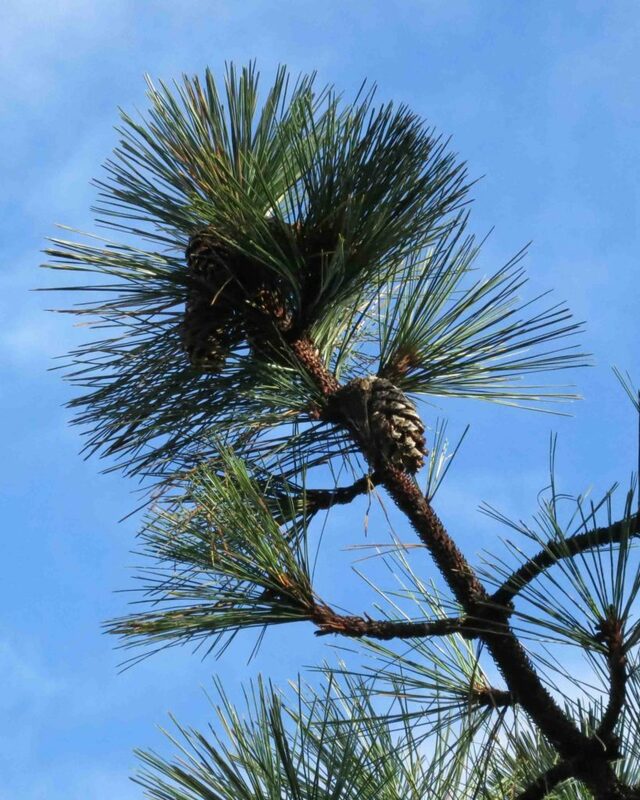 It is a slender spire-like tree with drooping branches. The leaves are stiff, sharp-pointed, dark green above and white-banded below. 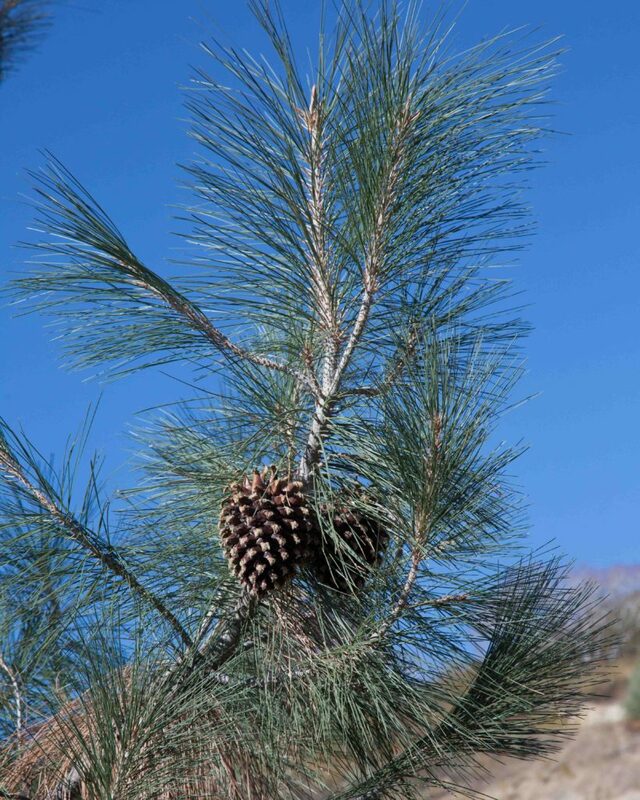 As with other firs, the leaves are not in bundles and radiate in all directions from the branch like a bottle brush. 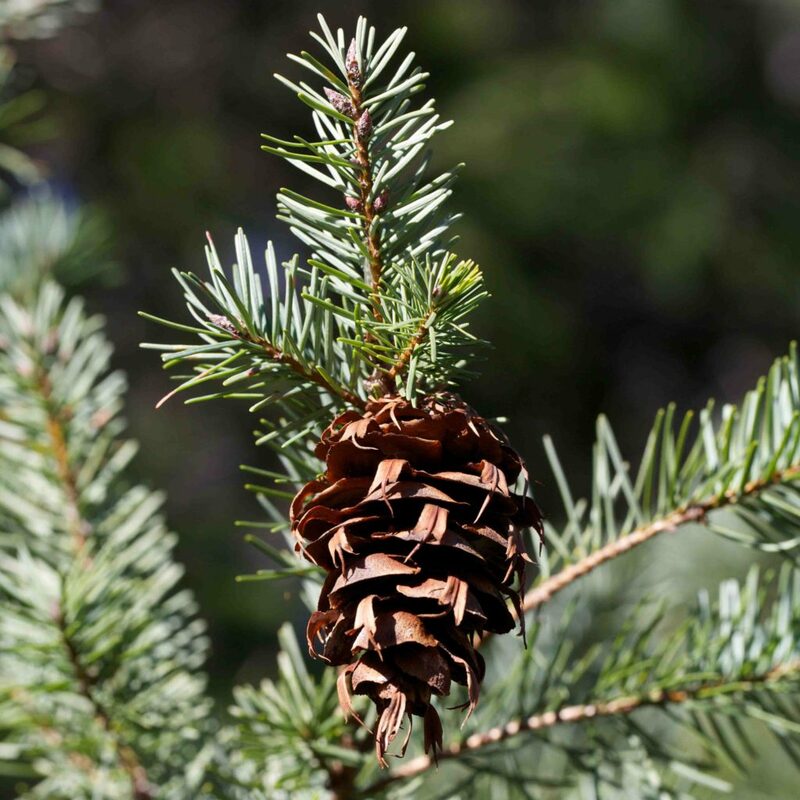 The cones have distinctive bracts which are exserted 1.5–4.5 cm, far more than on any other fir found in California. 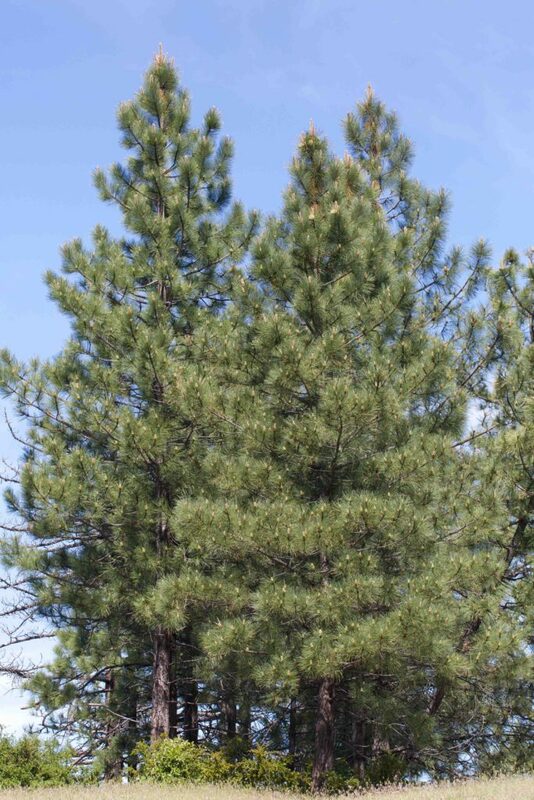 This is a medium to large pine with a single trunk and a broad, pyramidal crown. 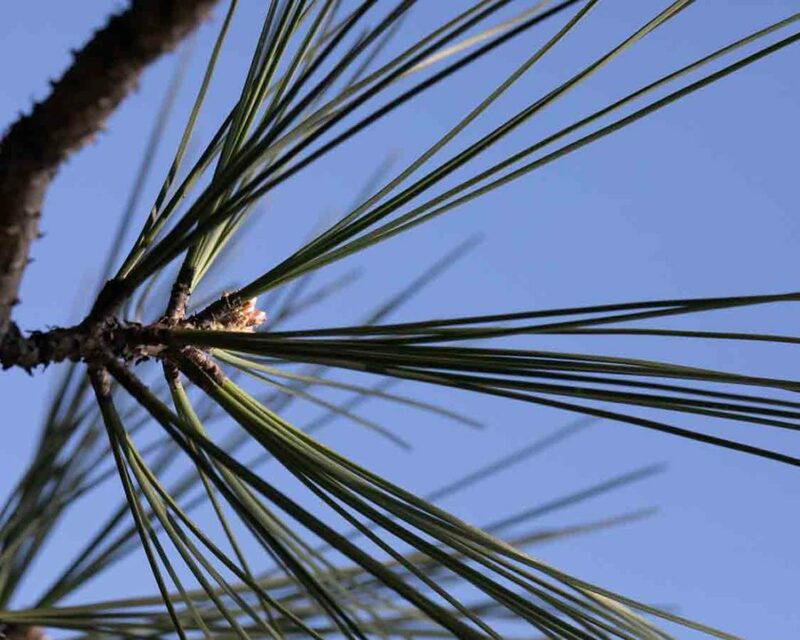 Needles are in bundles of 3, bluish-green in color and 15–30 cm long. 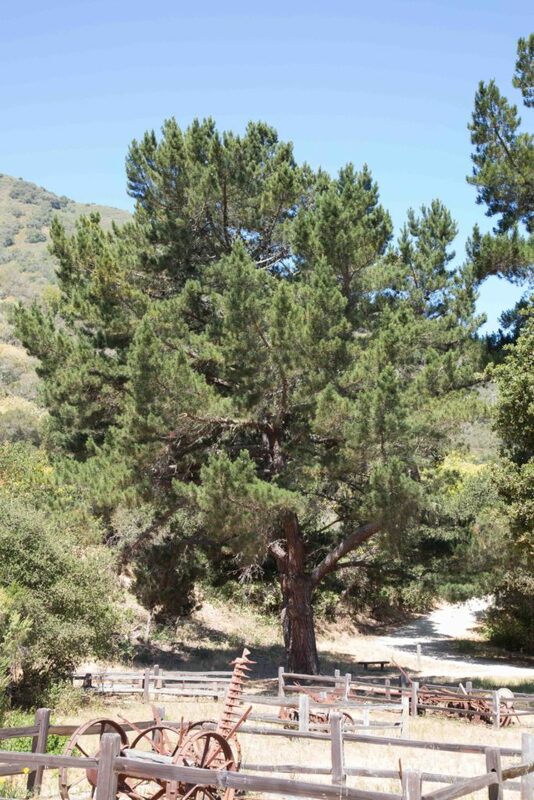 The most distinctive feature of this tree is the remarkable size of its cones. These are 20–40 cm long and weigh 4–10 lbs and are also extremely prickly— hence their popular name of "widowmakers". 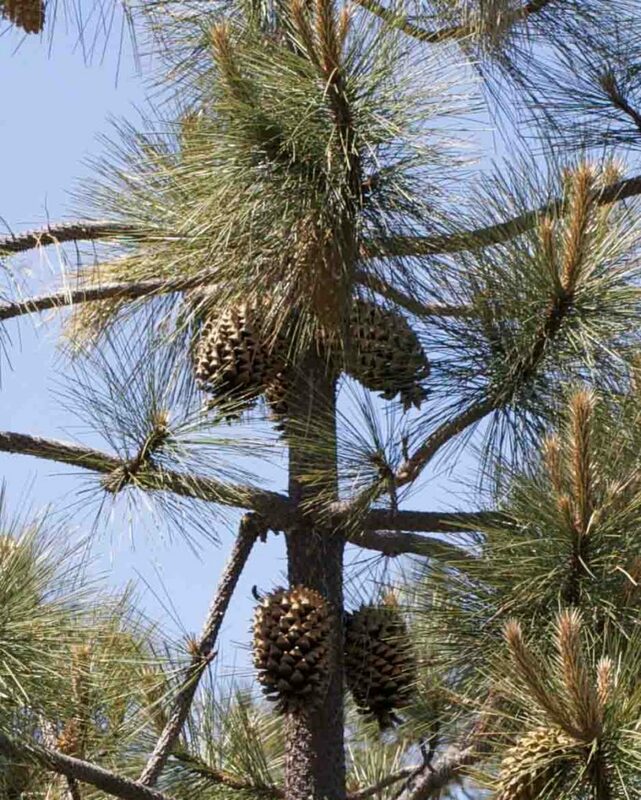 Cones from Sugar Pine (Pinus lambertiana) are even longer (20–50 cm) but are not as heavy or prickly. 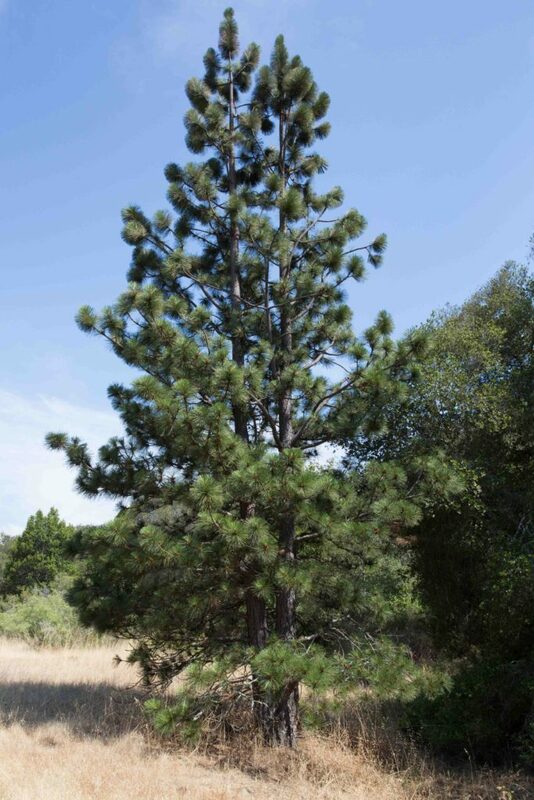 This is an uncommon pine in Monterey county, found primarily only in Del Monte Forest where it grows with the similar-looking Monterey Pine (Pinus radiata). 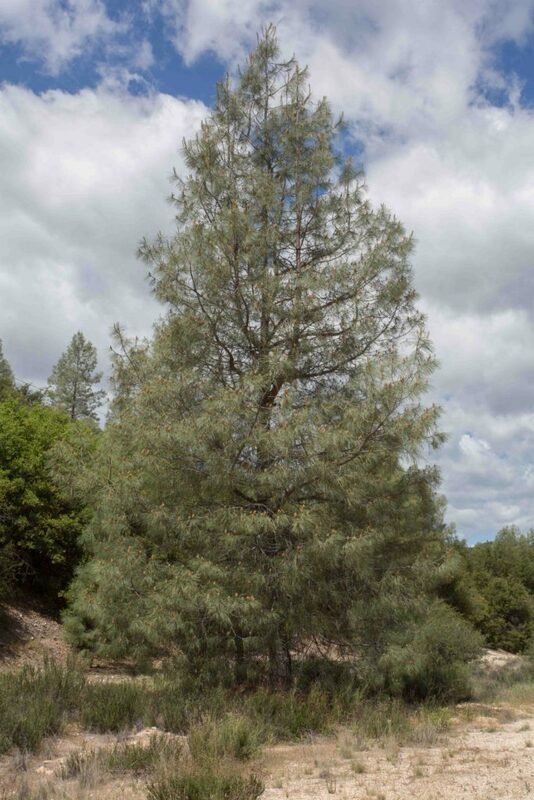 It is generally a tall and slender tree and can be distinguished by two features. 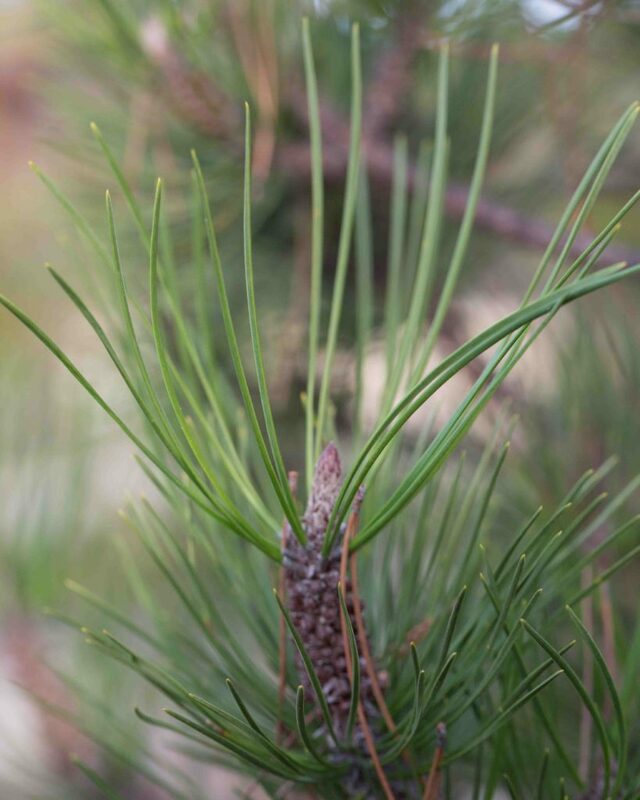 First, its needles are in bundles of 2, green and 5–15 cm long. 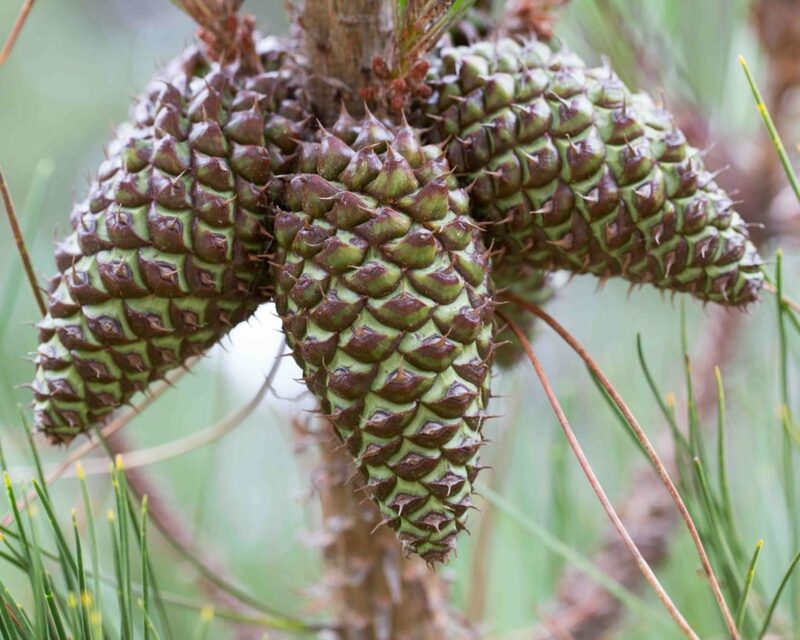 Secondly, the knobs on the cones have distinct prickles. 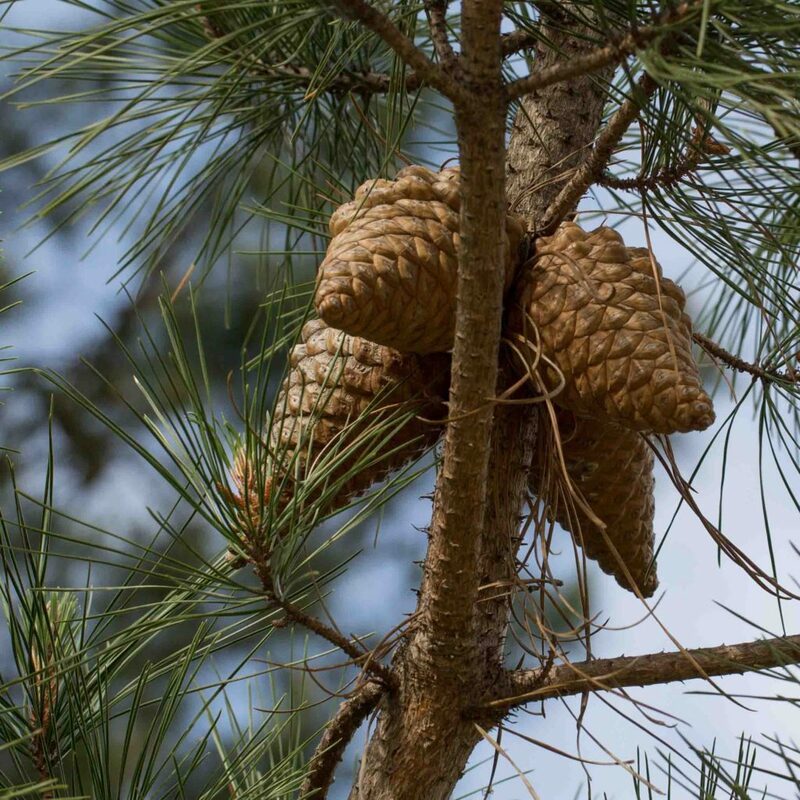 Like Monterey Pines, its cones are frequently whorled but the prickles allow the cones of the two trees to be distinguished with confidence. 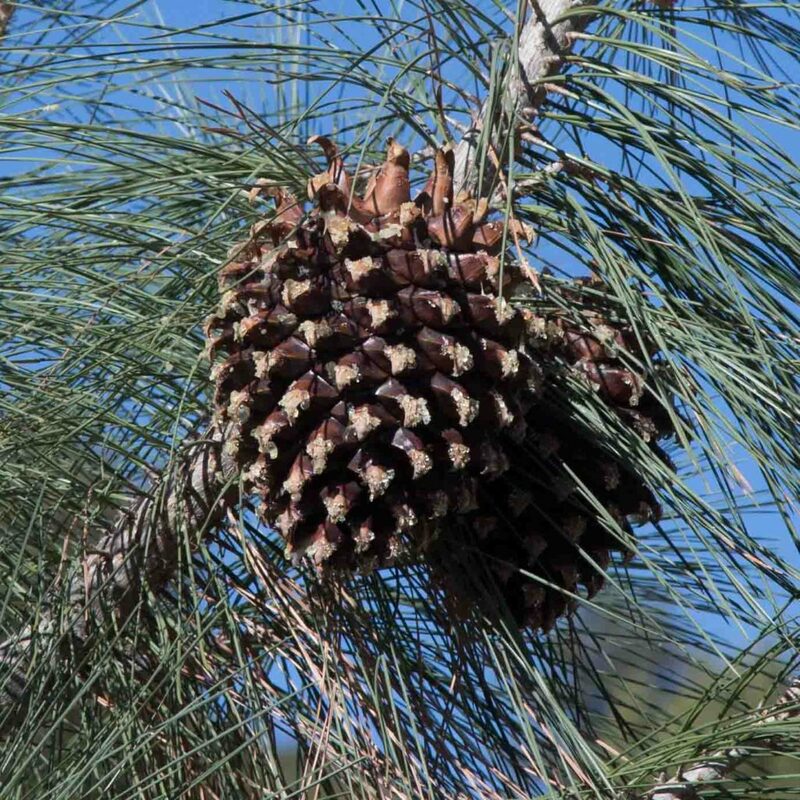 The cones themselves are 5–10 cm long and ovoid. 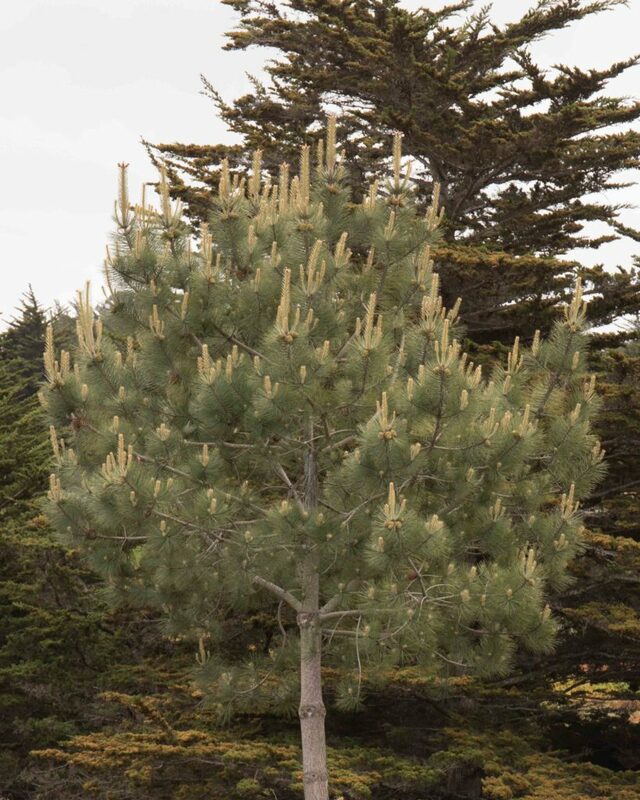 This is another uncommon pine in Monterey county, more commonly introduced than growing naturally. 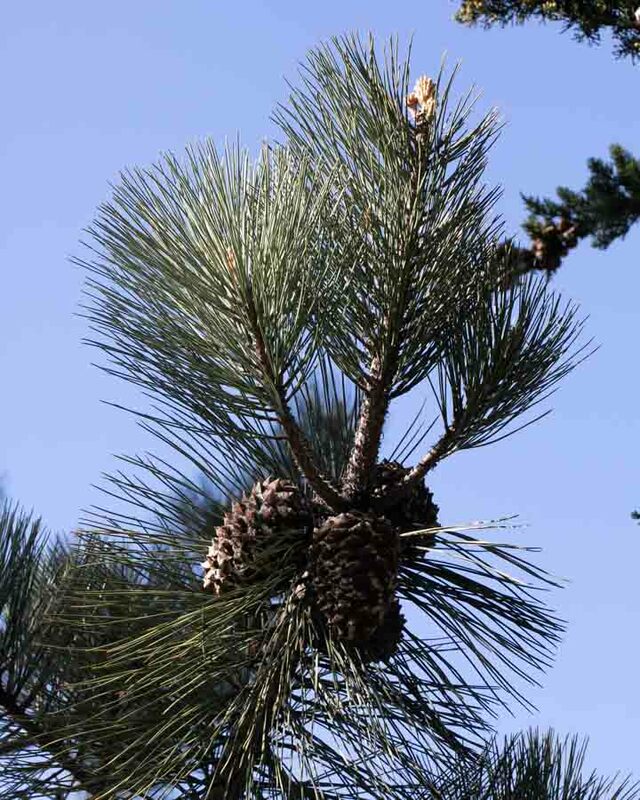 It is a tall tree with almost spherical bundles of long needles, each in clusters of 3 (occasionally 5), deep yellow-green and 12–26 cm long. 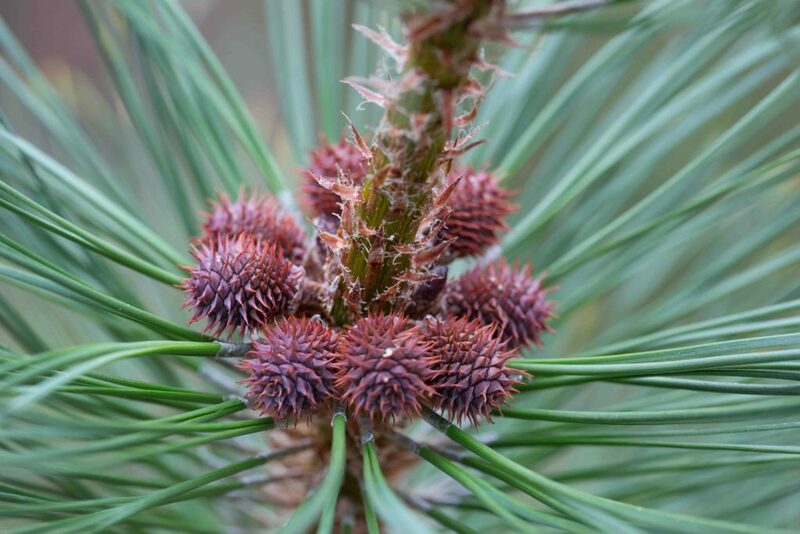 The cones are 7–15 cm long with prickly knobs, the prickles straight or outcurved. 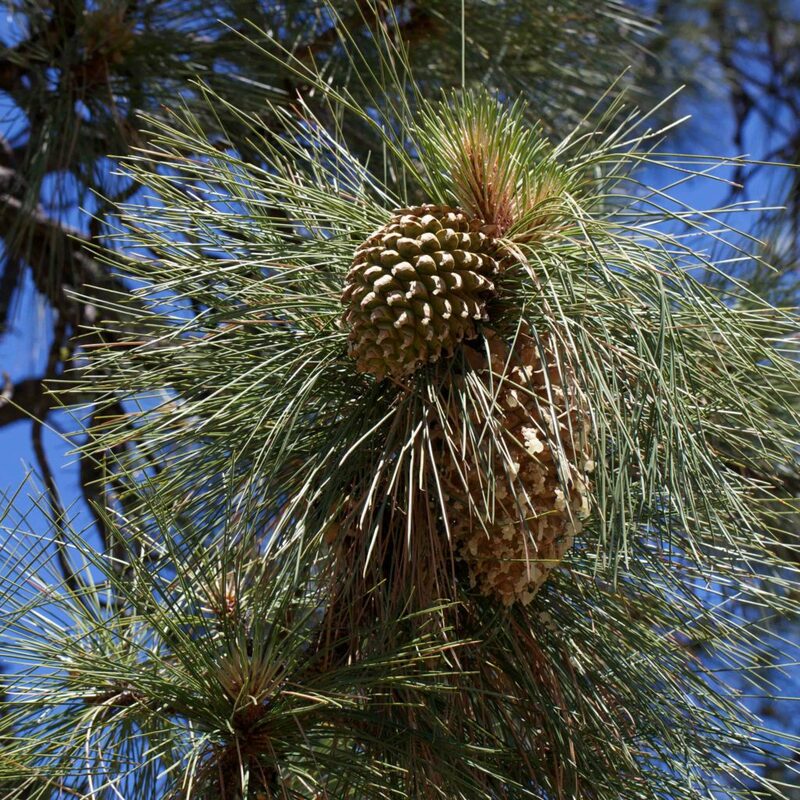 This gives the tree its nickname of "prickly Ponderosa" because the prickles are very evident when holding a cone, in contrast to "gentle Jeffrey" (the Jeffrey Pine (Pinus jeffreyi)) whose prickles are incurved and so not evident when holding the cone. 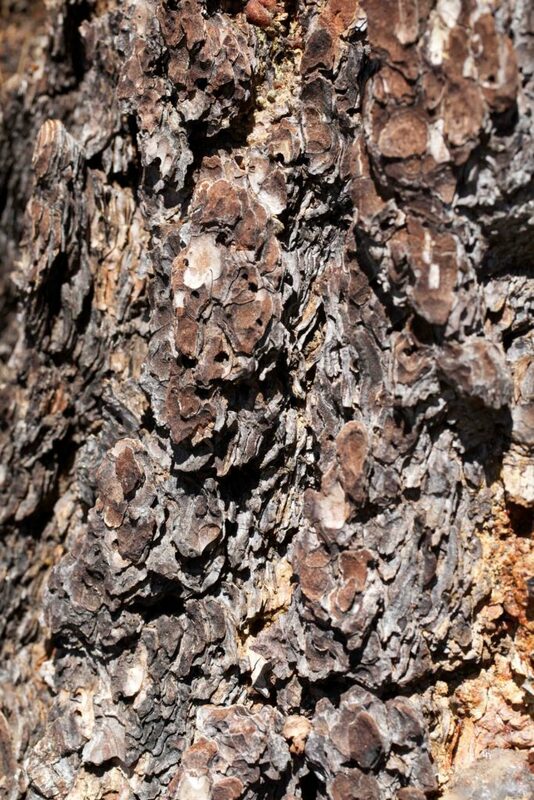 The bark is dark reddish-brown with a scaly appearance, the bark lacking any noticeable scent (unlike he vanilla / butterscotch scent of the bark of Jeffrey Pine). 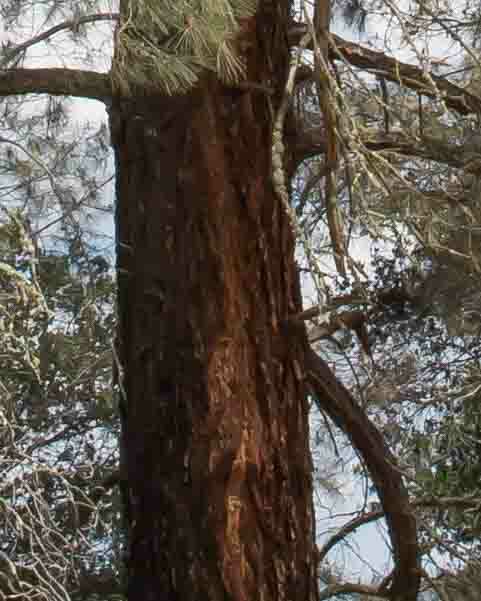 There are several distinct varieties of Ponderosa Pine; those found in Monterey appear to be var. ponderosa but the records are ambiguous. 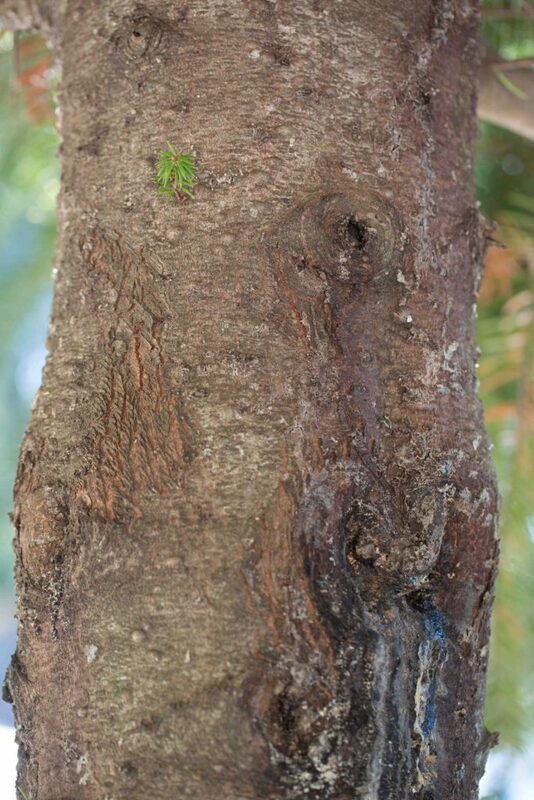 This pine is a study in contrasts. Native populations are confined to 3 small areas along the California Coast (Año Nuevo, Monterey and Cambria) and 2 small islands of Baja California. 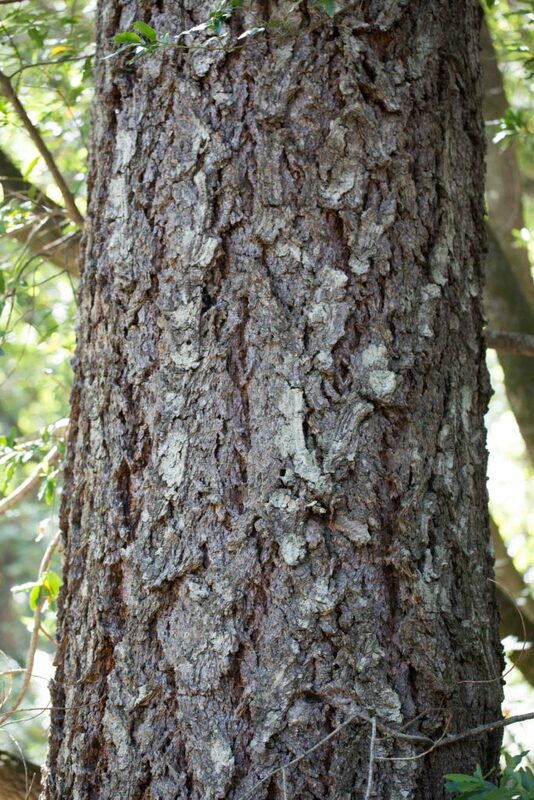 In New Zealand, it represents 90% of the country's planted forests, covering some 10 million acres. It is included in the CNPS Rare & Endangered Plant Inventory (1b.1). Its growth habit differs widely according to its location. In the open it can be spreading with a rounded crown. 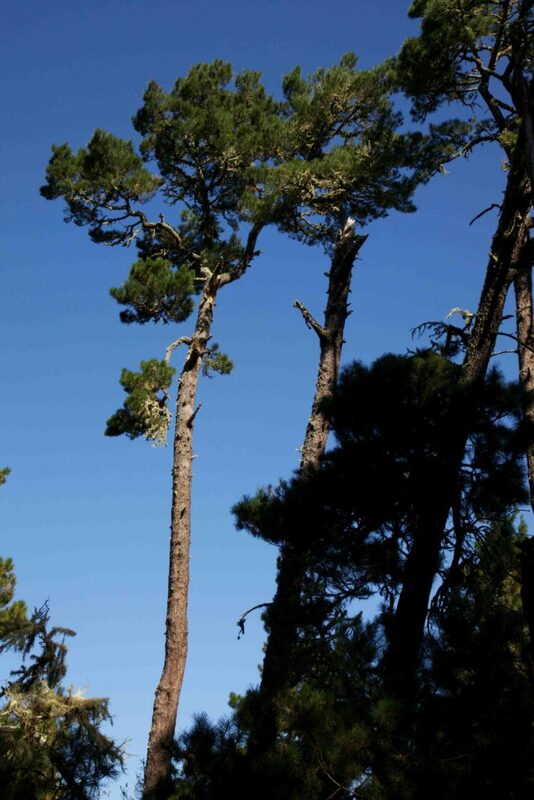 In the forest, it is slender with a tall bare trunk and the foliage confined to the top of the tree. 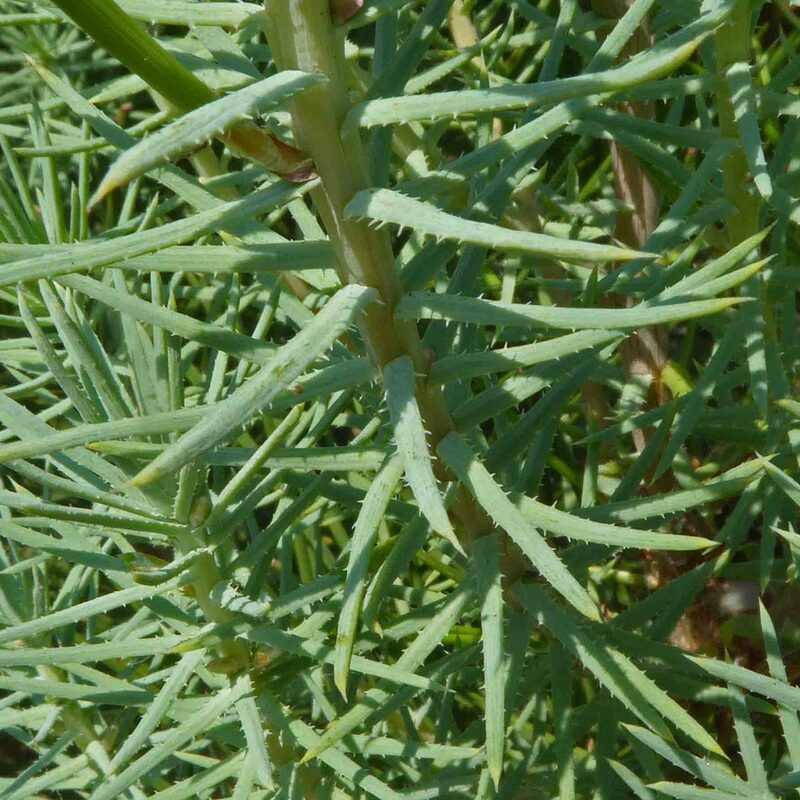 It has needles in bundles of 3 (sometimes 2), dark green and 6–15 cm long. 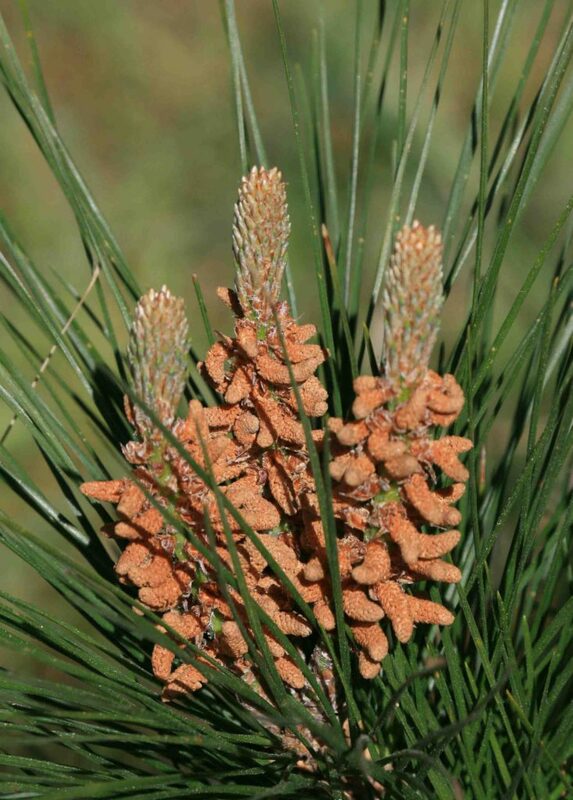 Its cones are also 6–15 cm long and, like those of Bishop Pine (Pinus muricata), are frequently whorled. 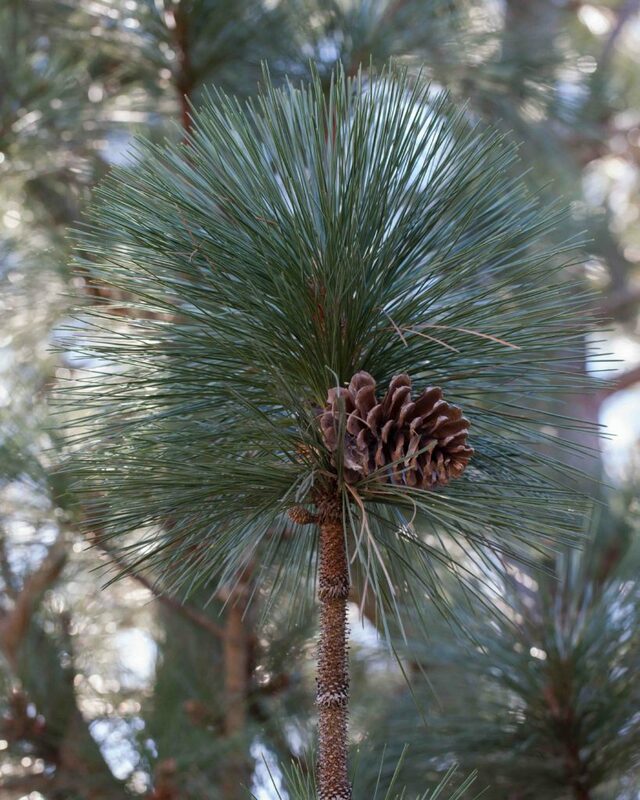 The knobs lack the Bishop Pine's prickles, allowing the cones of the two trees to be distinguished with confidence. 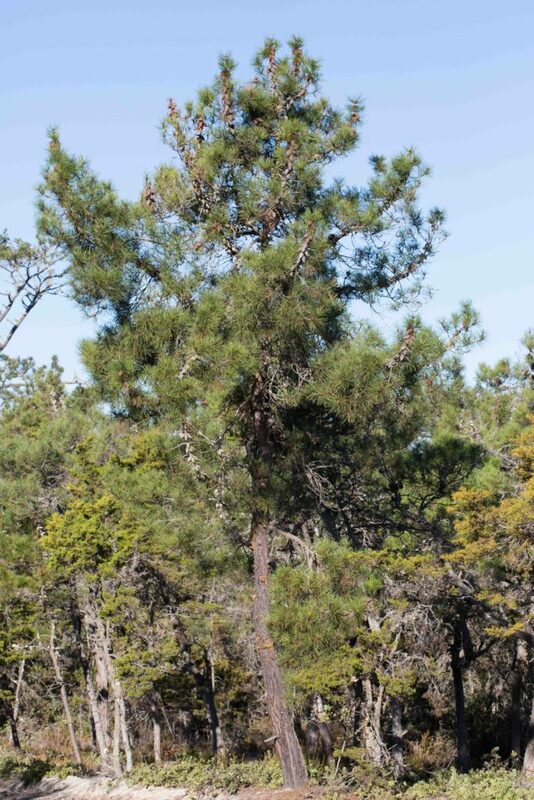 This pine is found inland and mostly in the southern part of the county. 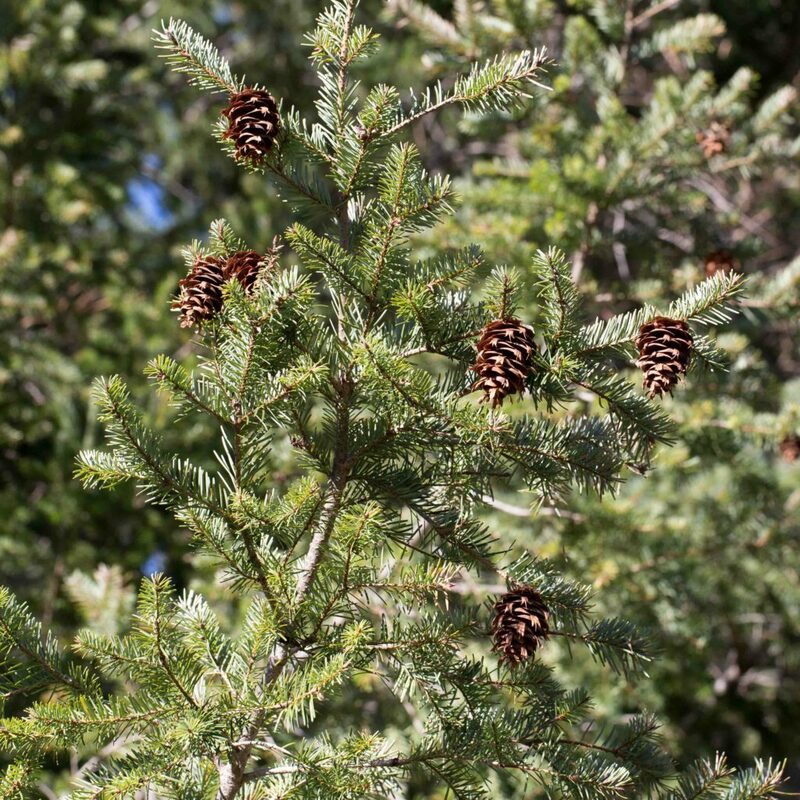 It has a distinctive open growth habit with the needle clusters also being more open than most other pines. 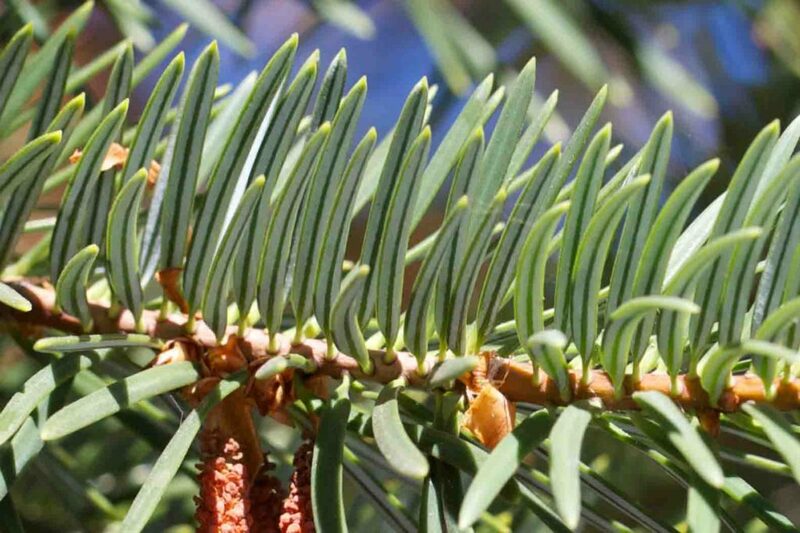 The needles are in bundles of 3, gray-green, generally drooping and 9–38 cm long. 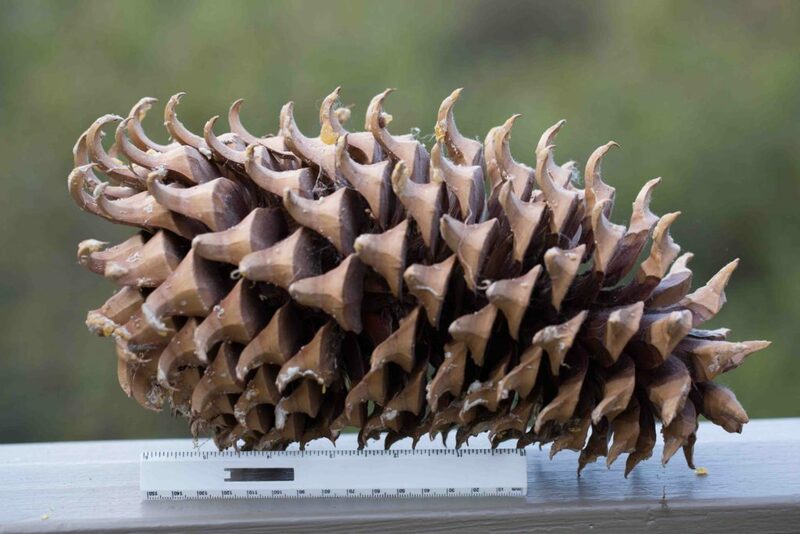 The cones are similar to those of Coulter Pine (Pinus coulteri) with the same recurved, extremely prickly scales but the cone is not as long (< 16 m) and, happily, therefore not as heavy. 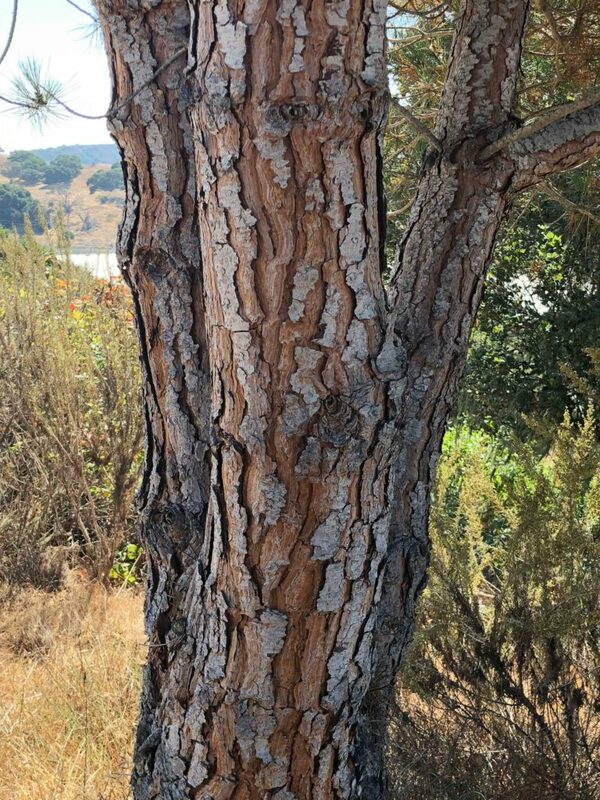 As its name suggests, this pine is a native of the Mediterranean region where it can grow into a tallish tree with a widely spreading crown. 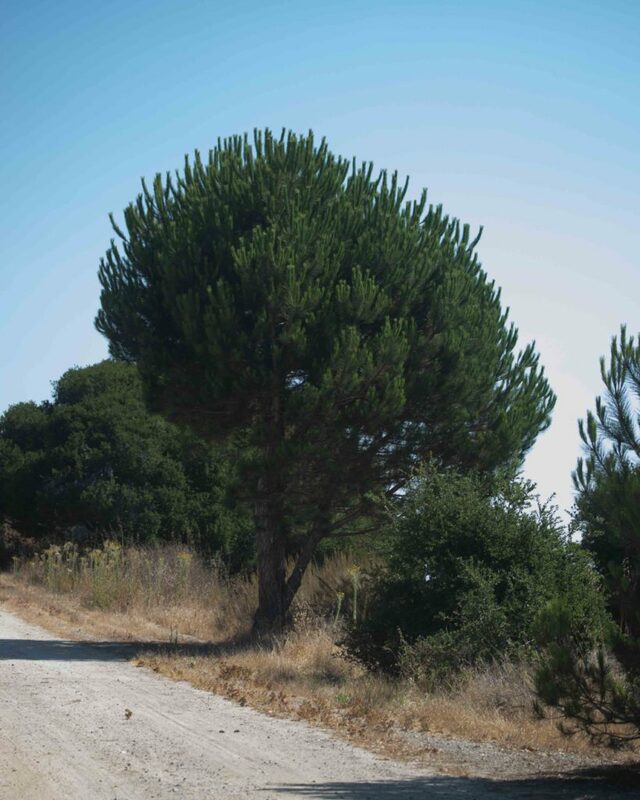 There are many examples on Fort Ord where it tends to be a smallish, more rounded tree. Needles are in bundles of two, 10–20 cm long. 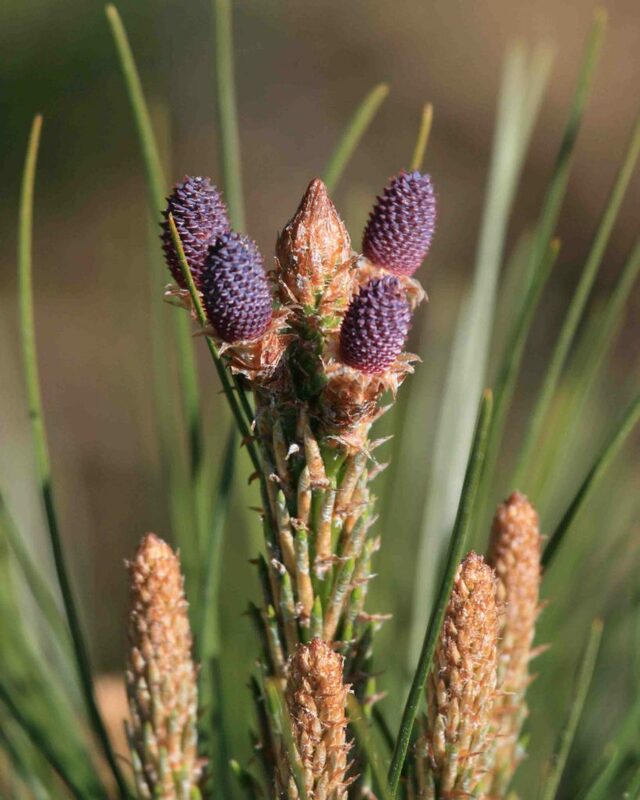 The cones (which take 36 months to mature) are broad and ovoid, 8–15 cm long. 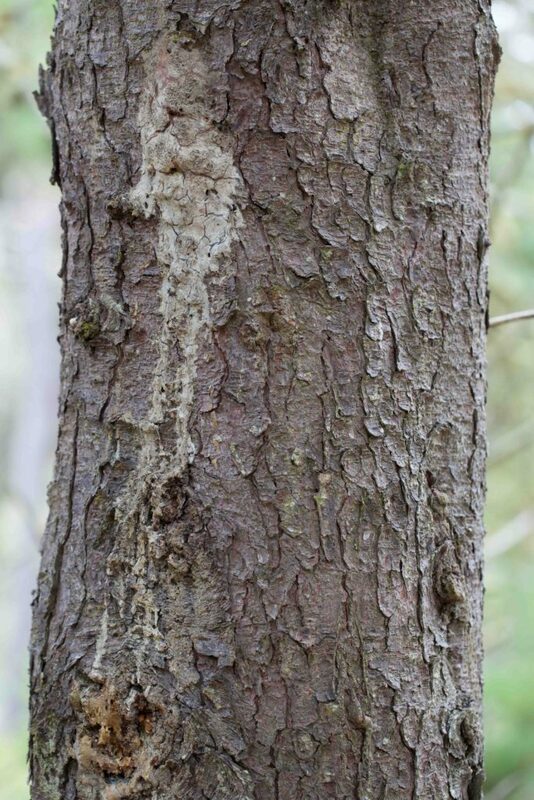 The bark is thick, reddish-brown with deep, broad fissures. 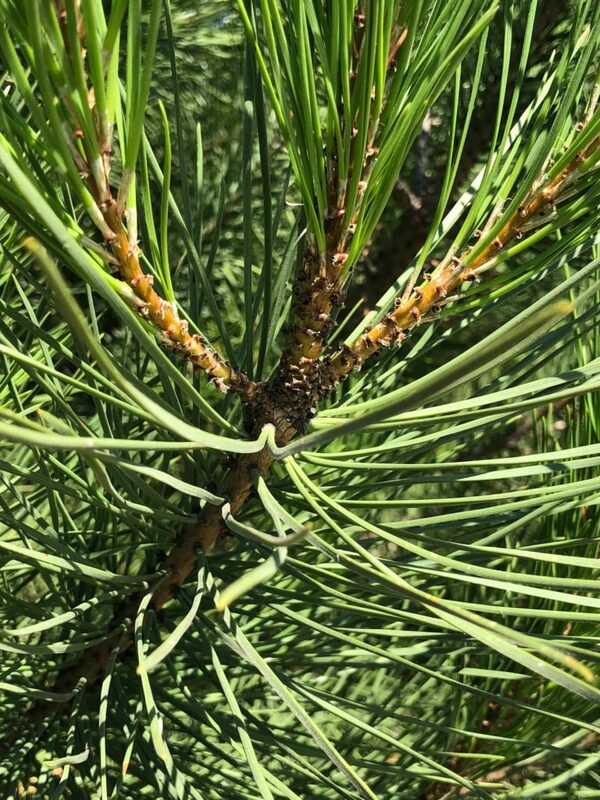 One unusual feature of this tree is that young trees bear not just needles but also a distinct form of juvenile leaf which are bluish-green, not paired and have small, prickly bristles on their margins. 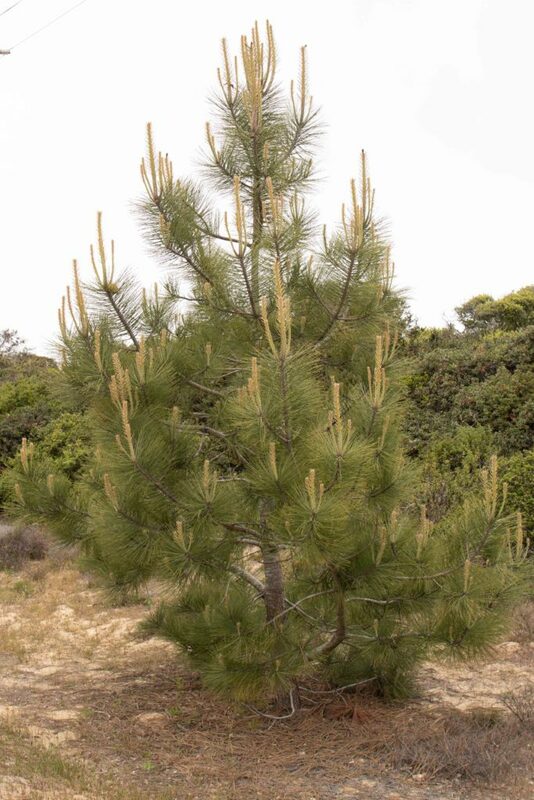 This pine is a native of Southern California and found mostly on Torrey Pines State Reserve. 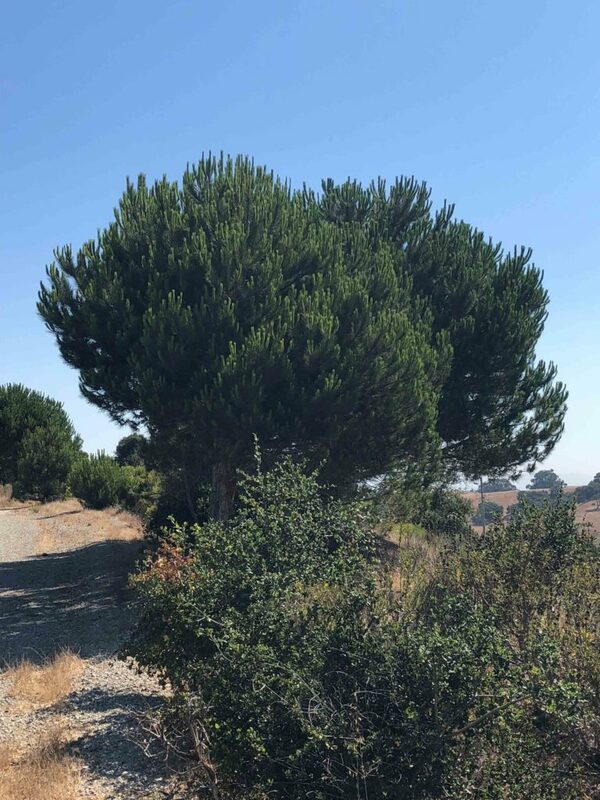 It has been introduced in various other coastal regions in California and there are a number of examples on Fort Ord, especially near Highway 1 and CSUMB. 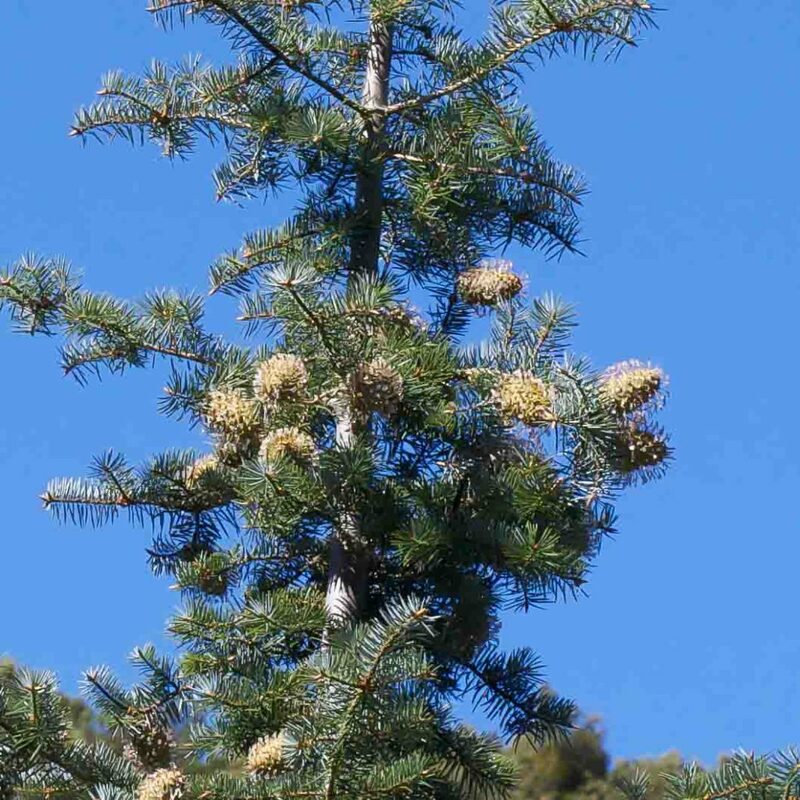 The tree is easily recognized by its long (15–26 cm) gray-yellow-green needles which are found in bundles of 5 and by its open growth habit. 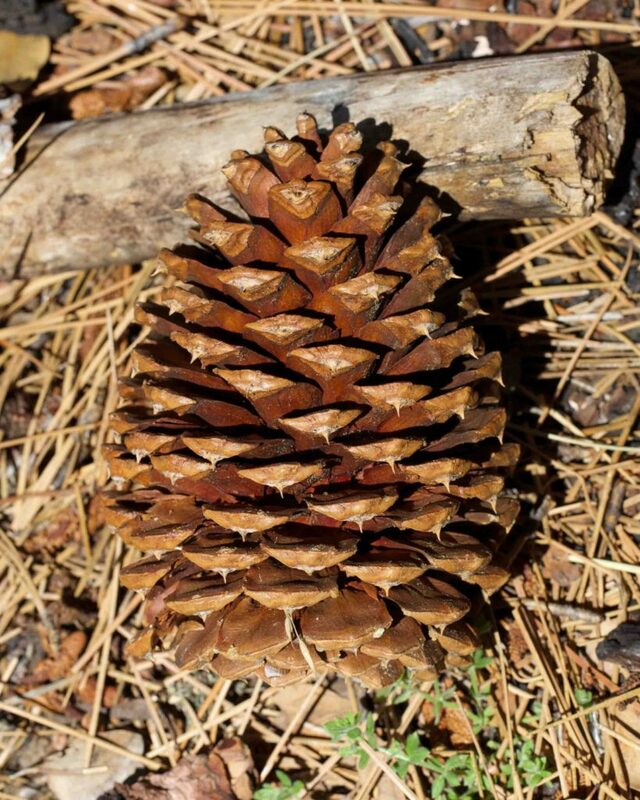 The cones are more or less as broad as they are long (± 13.5 cm). This not a true fir hence the hyphen in the common name. 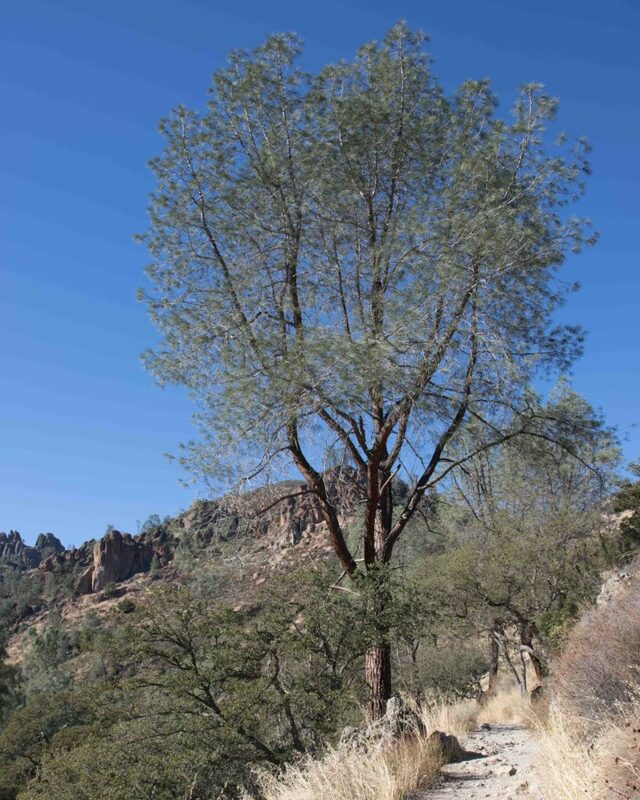 It is an impressive tree, much admired by the famed Scottish botanist and explorer, David Douglas who described it as "one of the most striking and truly graceful objects of Nature". 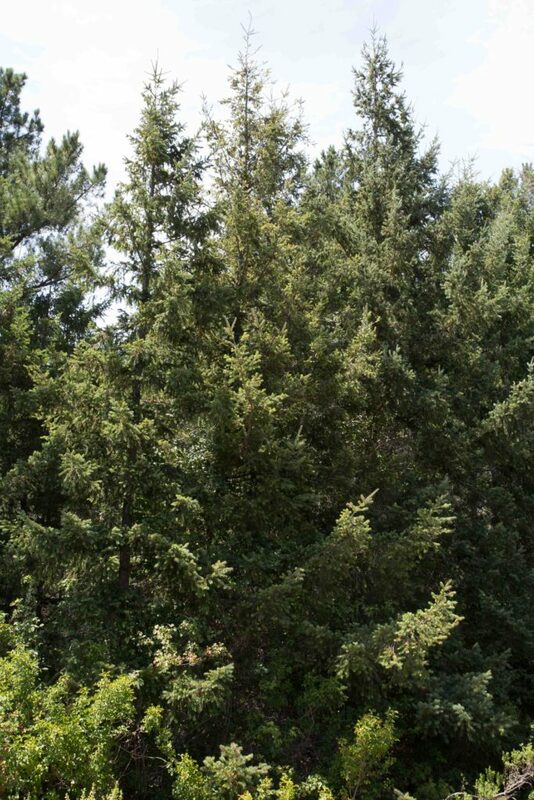 It is second only to Coast Redwood (Sequoia sempervirens) in height. 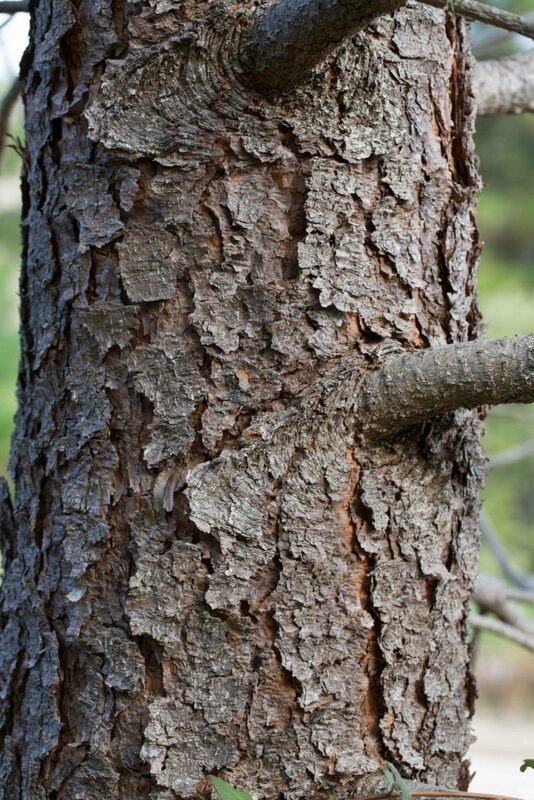 Younger trees have a compact, conical crown but mature trees can have broad, spreading crowns. 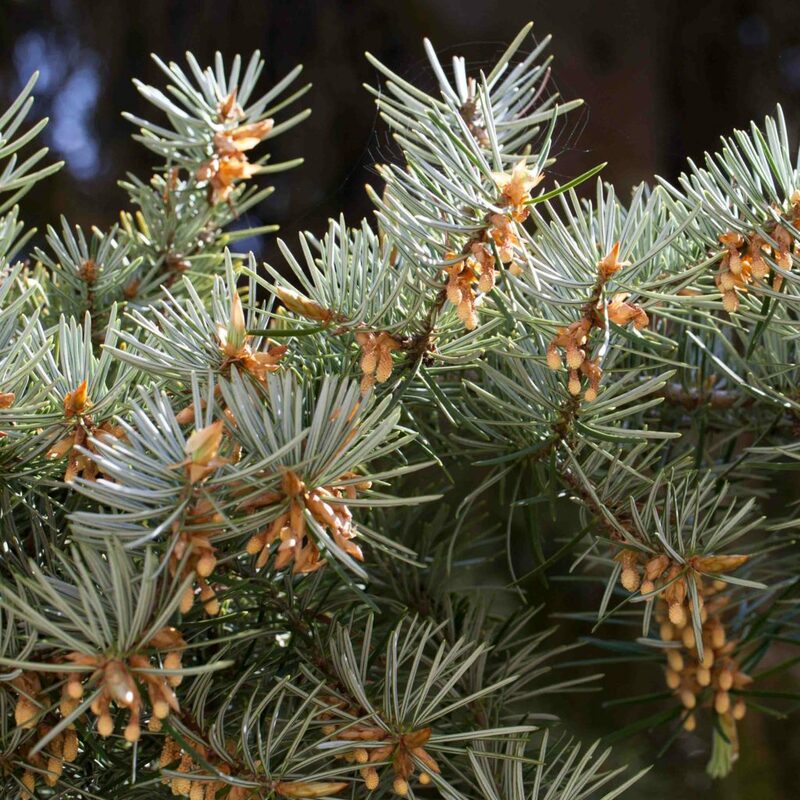 Like true firs, the needles are short and not in bundles, blunt-tipped and radiating in all directions from the branches. The underside of each needle has 2 white bands. The cones are particularly distinctive, pendulous with long-exserted bracts.